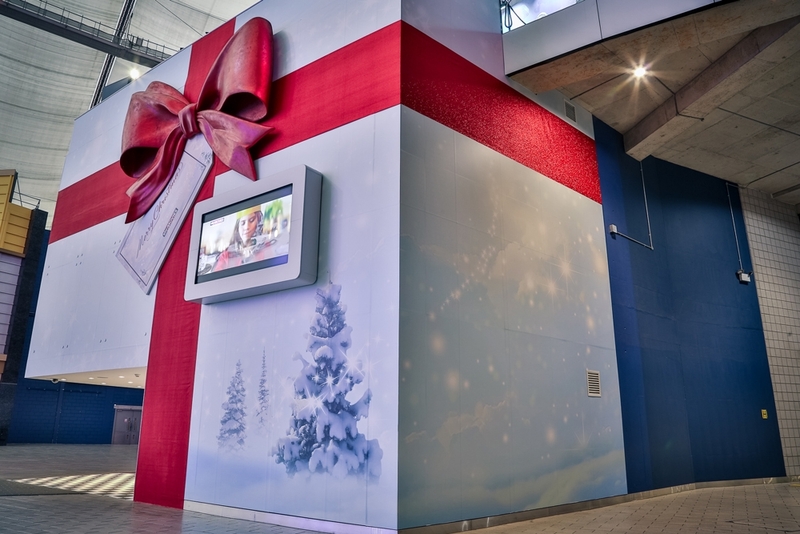 For RPM Ltd, Propability fabricated a giant poly carved, PU coated glittered bow to literally Christmas gift wrap the Sky Studios building at the 02 for the festive season. The bow, on the exterior of the building measured a whopping 5mtrs wide x 3.5mtrs tall and was created by a team of ten people in a two week period. It took four people and two giant cherry pickers to install.